Your favourite charity found 24 amazing Brits of all ages and sizes from around the UK to take part in an equally amazing cycle challenge through the Gambia. The purpose was to raise money for our many projects there through sponsorship. Alhamdullilah, (praise be to God) altogether, they managed to raise £49,000 which was used to benefit the people of Gambia and West Africa. Each cyclist was given the target to raise £1,000 but most of them doubled this amount. Added to this they all paid for all their flights and personal costs themselves. All the raised funds were spent in West Africa. The group of 24 adventurers took a flight to Banjul, the capital of the Gambia and from there they crossed the Gambian river via the ferry to arrive in Barra where the 134 miles cycle tour commenced. They rode to Madina Manneh where they visited a Caravan of Mercy school and its students. After visiting other beautiful villages and towns they reached Kuntaur, the location of another COM school called, Zeenatul Islam. 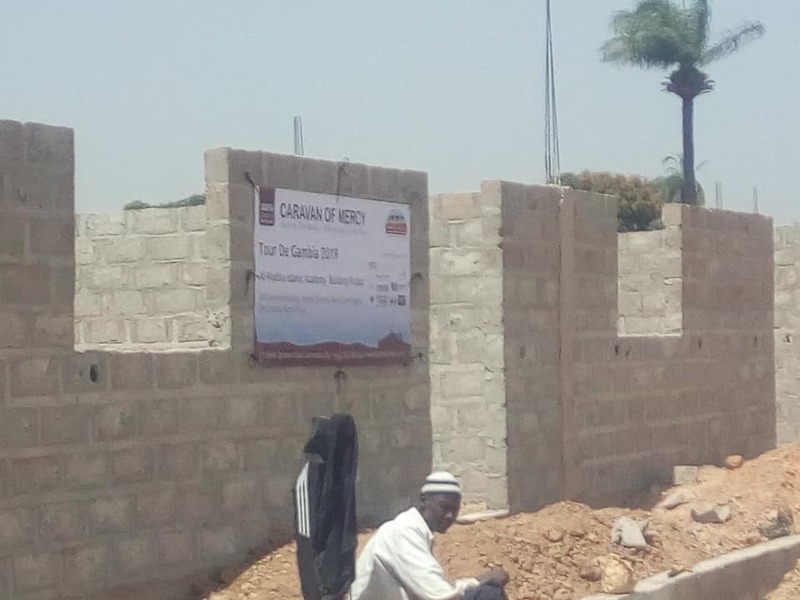 Your kind donations helped and continues to help the poor and needy through such projects as clothing distribution, student bike distribution, mosque construction, school construction and a school herb garden project. 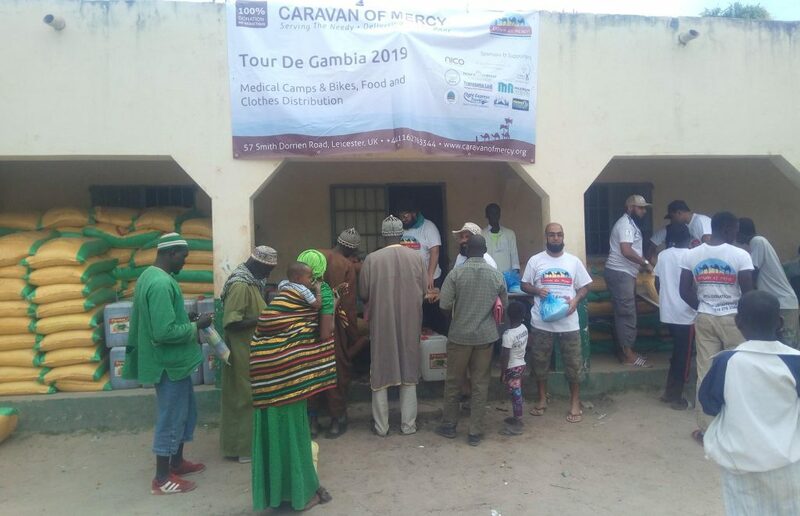 Some of the money raised by the cyclists went towards purchasing food in the Gambia. The cyclists ‘Food packs’ consisted of rice, sugar and oil and were arranged and distributed by the cyclists. 500 needy families in Kuntaur and surrounding villages benefitted from the food handouts. 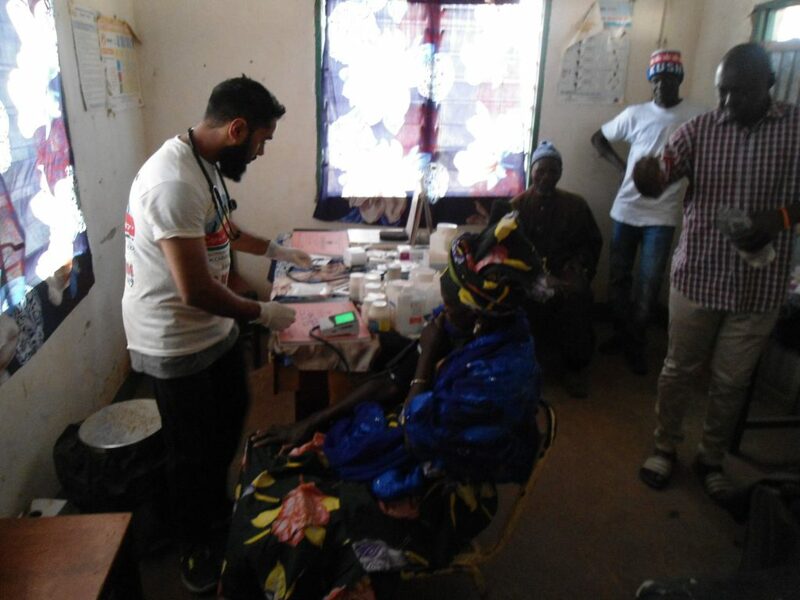 The group of cyclists consisted a number of medical professionals (3 doctors and 2 pharmacists) who were kind enough to set up 5 medical surgeries giving free doctors advice and free medication to locals along their cycle route. One generous donor from Leicester UK, donated approximately £4,000 of medication for the surgeries. Over 1,000 patients benefitted. Moseem explains how they crossed paths with the Gambian premier. Moseem and Big Baz at the end of the journey.